The Time Capsule Project: How to Make it Work! What is the most important part of your time capsule project? Yes, people. People will support you, and they will argue with you. People can make or break a time capsule project. Some people will come up with good ideas and yet others will give you bad ones. While it is up to you to deal with your people side, we feel it is also part of our mission to help you think about the other things. In doing your project planning for the Time Capsule, consider people first. Next, think about your stuff, where to place the capsule, and how long you want your time capsule to wait before getting opened up. Then choose your time capsule container and cast plaque to mark the spot. And don't forget about how to preserve your contents inside of the time capsule! What you put into your time capsule may be the next most important thing to consider after you deal with the people issue. You will read all about things to include in the capsule and what not to include. Just choose things that are important to you and your group and give priority to original things. 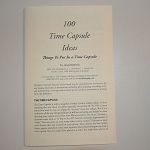 See our leaflet "100 Ideas for Time Capsule Contents" for lots of time capsule ideas. 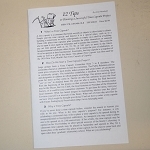 You can use and revise the time capsule content ideas to fit your circumstances. The next step in planning your time capsule project is to consider where you want to put the time capsule. Do you have a niche in a building or a place under an entryway? Is it a relatively protected area (a cornerstone) or a well protected area (inside of a building's archives) or underground? This matters. When will the time capsule be opened again? Along with the placement you plan for the time capsule, you'll want to consider the length of time for interment. This matters for a successful time capsule project, too. If the length of time is short and the placement is protective, you won't need to be so concerned about the container. 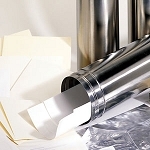 Just be sure it's archival plastic or an archival box to protect the items from dust and light and pollution and humidity found in normal indoor conditions. How then do you choose a time capsule container that is perfect for your time capsule project? If the length of interment is short and the placement is protective, you may be able to choose an archival plastic container or something quite inexpensive. Perhaps even the Smithsonian toy sold on Amazon would do, or one of those time capsules with a foam gasket would be all right. A glass canning jar might do just fine (keep it out of the light). Use silica gel, and if the capsule is air tight, use oxygen absorbers (we sell Ageless). But your time capsule project may be bolder than the put-it-on-a-shelf kind you might do for a baby time capsule. For those more ambitious project coordinators, our mission is to help them think about what might needed for whatever conditions they face. 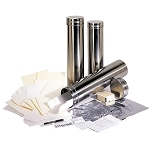 We offer 4 sizes of affordable time capsule cylinders, our Future Line. All are 304 stainless steel. They feature threaded caps and use a silicone sealant to finish and seal it. Their lids can be engraved. They're inexpensive because we had them made for us all at once, so they are in stock and ready to go. 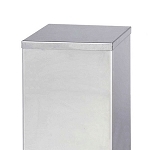 If you need a larger size and a box shape for your time capsule project, we offer 2 time capsule boxes. One is the Bolted 3000 (the heaviest duty and best designed) and it can be buried without an outer enclosure. The other is the simple Capped Cornerstone 4200 (most popular). 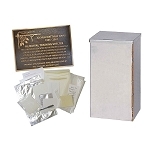 All our box time capsules are made in the USA and made one at a time. We offer engraving as an option on all standard sized lids. You may want to engrave your time capsule. 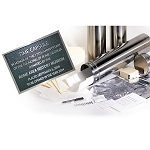 We place your message onto the time capsule lid in a black engraved marking that can have simply words or a logo along with it. The last step in any time capsule project is to do things that help folks remember your time capsule. Nothing works better for remembering a time capsule placement than a plaque to mark the ceremony or mark the spot. For indoor placement, a simple etched plaque may work just fine. For outdoors, however, consider a cast bronze or cast aluminum plaque. An etched stainless steel plaque will also work okay for outdoors. Call us for more information about ordering any of these personalized products. And check out our gallery of photos and ideas for plaques. Any questions about any of these things, please contact us. If we can, we'll try to help. 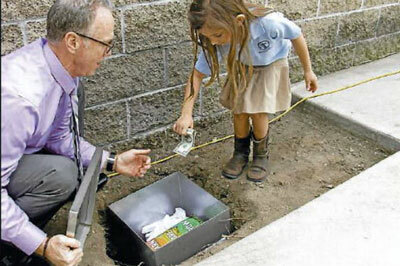 For most folks, placing a time capsule for the first time is a daunting task. There are lots of things to think about. We have been in business with folks just like you for over 25 years.